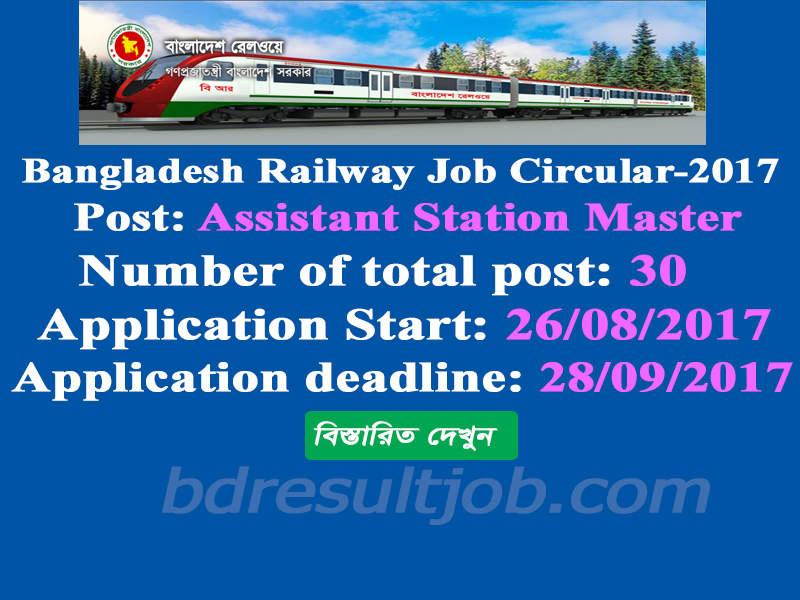 Bangladesh Railway Job Circular 2017 has been published in http://www.railway.gov.bd/. 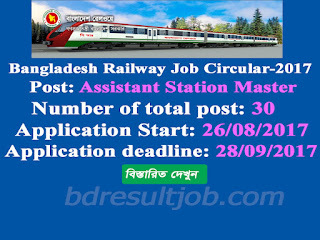 Bangladesh Railway CRB, Chittagong, there are 30 vacancies position for Assistant Station Master. Every interested Bangladeshi person can apply for this job within specific time. Bangladesh Prime minister Office Job Circular has been given bellow.